Social Security eligibility begins at age 62, and approximately one third of Americans immediately claim at that age. We examine whether age 62 is associated with a discontinuous change in aggregate mortality, a key measure of population health. Using mortality data that covers the entire U.S. population and includes exact dates of birth and death, we document a robust two percent increase in male mortality immediately after age 62. The change in female mortality is smaller and imprecisely estimated. Additional analysis suggests that the increase in male mortality is connected to retirement from the labor force and associated lifestyle changes. Social Security’s Trust Fund is projected to run out in 2034. As policymakers consider restoring financial balance to the program, one topic that may be discussed is how to structure any tax increases. Understanding why Social Security requires a higher payroll tax than a funded retirement program for a given level of benefits is a crucial first step in informing this discussion. The current “pay-as-you-go” approach is the result of the policy decision made decades ago to pay benefits far in excess of contributions for early cohorts of workers. By paying benefits in excess of contributions to early cohorts, the nation essentially gave away the Trust Fund that would have accumulated and, importantly, gave away the interest on those contributions. Thus, the payroll tax must cover not only the required contribution but also the missing interest. This paper addresses alternative ways to pay for this Missing Trust Fund, including a comparison of the size of the required changes and their distributional implications. The size of the OASI Missing Trust Fund is $27 trillion dollars. The so-called Legacy Debt – i.e., the $29.3 trillion dollar net transfer to pre-1932 birth cohorts – is the driver of this Missing Trust Fund. Paying for the missing interest on this Missing Trust Fund could be accomplished with a permanent increase in the capped payroll tax of 3.7 percentage points, in an uncapped payroll tax of 3.0 percentage points, or in the income tax of 2.3 percentage points. Accumulating assets to replace the Missing Trust Fund over 75 years requires larger, temporary increases in those taxes of 6.5 percentage points, 5.3 percentage points, and 4.1 percentage points, respectively. The burden of a payroll tax increase tends to fall more on households in the middle two income quartiles, whereas the income tax burden falls more on the top quartile. The fact that the primary cause of the Missing Trust Fund is the Legacy Debt suggests that increasing the income tax merits consideration, since paying benefits to early program participants benefited all of society. While replacing the Missing Trust Fund would ultimately create a fully-funded system with a large, interest-generating Trust Fund, such a move raises macroeconomic issues and questions of intergenerational equity. Finding the right approach merits society-wide discussion. 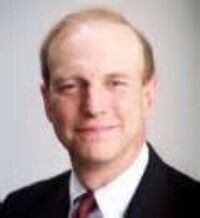 WASHINGTON, D.C. – Today, Ways and Means Social Security Subcommittee Chairman Sam Johnson (TX-03) again urged President Trump to nominate a Social Security Commissioner. This marks the fourth time Congressman Johnson has called on the new President to nominate the position that has been vacant for nearly five years. Mr. Speaker, I rise today to strongly urge President Trump to nominate a Social Security Commissioner without further delay. The Social Security Administration has been without a Senate-confirmed Commissioner for over 1,700 DAYS – that’s almost five years. This is totally unacceptable. The American people need a Commissioner – and they need one now. Without a Commissioner, Social Security is just spinning its wheels. Important decisions are being put off, and service has deteriorated. I ask the President to act now to nominate a Commissioner so that Social Security can provide the service Americans want, need and deserve. I yield back. On February 21, 2017, Johnson and other members of Congress called on President Trump to nominate a qualified candidate to fill the vacant Social Security Commissioner position without delay. On September 6, 2017, Johnson chaired a Ways and Means Social Security Subcommittee hearingon the Social Security Administrations disability backlog. During the hearing, Johnson again called on the President to nominate a Social Security Commissioner. On December 1, 2017, Johnson once again urged the President to name a nominee, citing a local Dallas-Fort Worth paper that highlights the Social Security Administration’s hearing backlog as a critical issue facing the agency. Per Section 207 of the Social Security Act, the Commissioner of Social Security has a fixed six-year term. The current term ends on January 19, 2019. Since February 13, 2013, when then-Commissioner Astrue left the SSA, the agency has been led by an Acting Commissioner. How America Supports Retirement: Challenging the Conventional Wisdom on Who Benefits. Peter J. Brady . Routledge, 2016, ISBN 1-878731-58-0, 200 pages. Retirement System Risk Management: Implications of the New Regulatory Order. By Olivia S. Mitchell , Raimond Maurer and J. Michael Orszag (eds). Oxford University Press, 2016, ISBN 978-0-19-878737-2, 256 pages. Age Related Pension Expenditure and Fiscal Space: Modelling techniques and case studies from East Asia. Mukul G. Asher and Fauziah Zen (eds). Routledge, London, 2016, ISBN 978-1-138-82579-6, 206 pages. Insights in the Economics of Aging. David A. Wise (Ed.) National Bureau of Economic Research, The University of Chicago Press, 2017, ISBN: 978-0-226-42667-9, 388 pages. Why Has U.S. Life Expectancy Fallen Below Other Countries? In recent decades, life expectancy at age 65 in the U.S. has been lagging behind other high-income countries, particularly for women. A major reason is that, historically, the U.S. has had higher rates of smoking and obesity. As a result, the U.S. has made less progress at reducing deaths related to strokes, respiratory diseases, and diabetes. If U.S. smoking and obesity rates had matched those of its peer countries, U.S. life expectancy would have exceeded the average until recently. Going forward, smoking is no longer a major contributor to the life expectancy gap; the real challenge is curbing obesity. Are Pension Contributions a Threat to Shareholder Payouts? UK companies have been making large contributions to reduce the deficits of their pension funds, and are believed to fund such contributions in part by reducing dividends. Using data from 2003, we find very little evidence that large contributions are associated with reductions in dividends or other payouts to shareholders. We find further that companies tend to make large contributions when they have healthy cash flows and profits. This suggests that the Pensions Regulator allows companies flexibility regarding the timing of contributions, which means contributions are less of a shock to cash flows, and easier to manage. While aging population is a worldwide issue, it is more profound in Asia. Reverse mortgages are useful instrument to alleviate the continuous and steady consumption needs of retirees. The “puzzle” is why there has been rather modest uptake even in the US, UK, and Korea where it has been available for a considerable time. We propose a structural design for a reverse mortgage contract that works across geopolitical borders, including key design criteria, issues of education/marketing for both the retirees and their beneficiaries, and a feasible approach to funding reverse mortgage with reliable, cost-efficient supply of funds available consistently so that the reverse mortgages can be supported as a “standard” consideration for everyone considering for retirement. We will also examine the role of the government as regulator and as risk-bearing provider, in the reverse mortgage process. Our preliminary work suggests that an effective institutional means of funding reverse mortgages is likely to be considerable different from current practice. We also discuss how the possible obstacles, particularly Asian traditions, could be solved so as to allow reverse mortgage to be an instrument for improving retirement. This paper examines financial transfers within families before and after the great recession. Transfers within families have historically been an important source of wealth accumulation for younger generations, but what happens to these transfers when incomes and wealth are distorted by a recession? We document patterns of financial transfers within families in the U.S. and Germany before and after the Great Recession. This paper uses data from the Health and Retirement Study (HRS) and the Survey of Health, Aging and Retirement in Europe (SHARE). Critical components of the analysis include the estimation of a difference-and-differents model to compare transfer behavior over time, and multiple triple-difference-and-difference models to further study how transfer behavior differs for different population groups. Key limitations are related to available data. The SHARE data used does not contain information for year 2007, which thus had to be excluded from the analysis. In addition, harmonizing the both datasets might introduce some potential of errors. The paper found that: - Transfers from parents to children are pro-cyclical. Fewer U.S. and German parents made transfers to their adult children in 2009 than in 2005, and transfer rates appear to start recovering earlier in Germany than in the U.S. The estimated decline from 2005 to 2009 was 3 percentage points in the U.S. (8 percent) and 7.5 percentage points in Germany (29 percent). - Households who did fairly well during the recession reduce transfers in the same way than households who were not hit by a financial shock. - Households who experienced non-employment also did not reduce transfers compared to households who did not experience non-employment. The policy implications of the findings are: - Private transfers are important for social policy because private financial transfers may be an important source of economic security during recessions, especially in countries where the social safety net is less generous. - Understanding how transfer behavior within family changes during recessions under different public safety nets can inform design of policies to promote economic security and equity. - In terms of our study, we (for example) find no relationships between public transfers crowding out private transfers. This result can be used to make current public policies more efficient. In this paper, we explore the underlying explanations for the under financing of the U.S. Social Security pension system that has persisted since the late 1980s despite repeated calls for reform by the program’s trustees and various advisory groups. Both micro and macro estimates of the cost shifting from older to younger generations because of the delay in financing reform are provided. The analysis shows that recent proposals that call for balancing financing reform adjustments between benefits and revenues would result in most of the cost being shifted to future generations of participants. Because reforms have been delayed and many current proposals call for greater welfare transfers in the program from high to low career earners, the case is made that the costs of reform should be imposed on the basis of participants’ ability to pay rather than on the basis of the year in which they were born. "The Behavioral and Consumption Effects of Social Security Changes"
Social Security’s Trust Fund is projected to be exhausted in 2034. A variety of changes to the program have been put forward that would either push this date out into the future or delay it indefinitely. Some of these changes would cut benefits – e.g., increasing the Full Retirement Age (FRA) to 69 – while others would increase program revenue – e.g., increasing the payroll tax. While Social Security’s Office of the Chief Actuary projects the financial impact on the program of a wide variety of changes, understanding the impact of these changes on recipients’ behavior and well-being is also a valuable exercise. This paper uses the Gustman and Steinmeier structural model to analyze the effects of four changes to the Social Security program on recipients’ retirement timing and household consumption. -The two policies that reduce benefits – an increase in the FRA to 69 and a reduction in the COLA of 0.5 percentage points – would increase the length of workers’ careers by delaying retirement. -The two policies that increase revenues – an increase in the payroll tax to 7.75 percent and an increase in the cap to cover 90 percent of earnings – would have a negligible impact on retirement timing. -For the benefit-based policies, the reduction in consumption relative to current policy is relatively high post-retirement, with the COLA adjustment having an increasing effect with time. -Policies that increase revenue have little effect on consumption after retirement but have a consistent effect during the working life. -Policymakers can expect individuals to delay retirement more in response to Social Security changes that reduce benefits than from changes that increase revenue. -In terms of consumption, policymakers considering benefit cuts versus revenue increases face a tradeoff: a sharper reduction in consumption over the shorter span of retirement or a smaller, but more prolonged, reduction in consumption during the working life. "Homeownership, Social Insurance, and Old-Age Security in the United States and Europe"
This paper uses data from the Health and Retirement Study (HRS) and the Survey of Health, Ageing, and Retirement in Europe (SHARE) to better understand the role of homeownership in retirement before and after the Great Recession for the United States and nine Western European countries: Austria, Belgium, Denmark, France, Germany, Italy, the Netherlands, Spain, and Sweden. It begins by comparing trends in homeownership rates among older adults and the key characteristics of housing-related policies and regulations that potentially impact home acquisition. It then examines home equity trends, the prevalence and burden of housing debt, and the relative importance of housing as a source of retirement wealth. Next it provides an overview of equity release options and estimates how much older households could increase their incomes by fully monetizing their housing equity. Finally, the paper discusses the prospects for and limits of home equity release and asset-based welfare policies. -Most older adults are homeowners, and homeownership rates generally increased between 2006 and 2012; however, there is substantial variation across countries. -Housing-related policies in the Netherlands, Sweden, and Denmark provide comparatively high levels of support to both homeowners and non-homeowners, while those in Italy and Spain provide little support to either group. In contrast, housing policies in the United States provide some of the highest levels of support for homeowners and lowest levels of support for non-homeowners. -Older American homeowners have substantial housing wealth, but compared with their European peers, housing represents a somewhat smaller part of their net total wealth. -While the prevalence of housing debt among older adults is somewhat lower in the United States than in the Netherlands, Denmark, and Sweden, among older homeowners with housing debt, Americans have the highest loan-to-value ratios and the highest proportion of homeowners whose homes may be at risk of going underwater. -If the housing equity of older Americans were completely monetized, median household income would increase by over a third – more than in countries like Sweden and Denmark, but well below countries like Spain and Italy. Across all countries in this study, tapping into housing equity could substantially reduce the share of older adults with household incomes below 50 percent of the median – the threshold for relative poverty. -However, even after annuitizing housing wealth, the share of poor older Americans would remain as high as, or higher than, the share of poor older Europeans before accounting for annuitized housing wealth. -Despite the potentially large impact of monetizing home equity on household incomes and the economic security of older Americans and Europeans, there remain impediments to tapping into home equity that may explain its low use. Objective obstacles include the high costs of withdrawing housing equity, uncertainty about life expectancy and the amount of financial resources required to support retirement, the adverse impact on eligibility for social benefits, and the concentration of housing wealth among (upper) middle- and higher-income individuals who are less likely to need additional resources in old age. Subjective obstacles include an aversion toward assuming additional debt in old age, different (often emotional) attitudes to housing compared with other types of wealth, bequest motives, and a lack of trust in financial institutions. -Home equity has a potentially important yet limited role in supporting old-age security. Even if objective obstacles related to the design and pricing of home equity release products were fully addressed, subjective reasons for avoiding home equity withdrawal and compositional differences in the concentration of housing wealth would still limit the scope of asset-based welfare. -These limitations notwithstanding, using home equity to supplement retirement incomes and improve retirement security remains a potentially attractive option for a substantial number of older adults who have built housing wealth over their life course, but may either have insufficient retirement incomes or face unexpected and expensive life events (e.g. long-term care needs). -What remains more uncertain and difficult to predict, though, are the long-run prospects for using home equity to support old-age security since younger generations of Americans and Europeans may find it more difficult to build home equity than their parents’ generation. Rigorous discussion of inter-generational equity has been hampered by the lack of a comprehensive measure of generational wealth that includes labour income, consumption, private financial wealth and the value of future public and private transfers. We construct the first such measure by extending generational accounting using results from the National Transfer Accounts (NTA) project. We call these generational wealth accounts (GWAs). These accounts have three main uses. First, they provide a comprehensive picture of the composition and level of aggregate resources available to each generation, as well as the uses to which those resources are put. Second, they allow the measurement of the sustainability and inter-generational equity of aggregate consumption paths of different generations, as well as of the public and private-sector transfer systems. Finally, our accounts provide an independent, forward-looking estimate of the relative importance of life-cycle wealth and wealth held for other purposes. We compile a set of GWAs for the UK in 2012. Older generations appear to consume far less than the aggregate value of resources available to them, giving rise to significant bequests to younger generations. Younger generations will need to rely on these bequests in addition to inter vivos transfers to sustain their consumption paths. We show that the private sector is in surplus, that the sum of bequests and inter vivos transfers to the unborn is more than is required to fund their consumption plans. However, we confirm previous findings that the public sector is on an unsustainable deficit path. This public sector shortfall is greater than the private sector surplus and so aggregate consumption plans are unsustainable. We assess the generational equity of various approaches – including the UK government’s proposal as detailed in the Office for Budget Responsibility (OBR) forecasts – to restoring sustainability. Further, we estimate that only around 20% of the aggregate resources of living generations comprises financial and other forms of tradeable wealth, and that 40-50% of this is held to finance future consumption, taxes and inter vivos transfers, with the remainder financing bequests. "Life Events and Participant Engagement in Pension Plans"
We study the use of life events (e.g., getting married, starting a new job) for effective pension communication. Pension plan participants are often not open to pension communication, nor do they engage in pension planning. 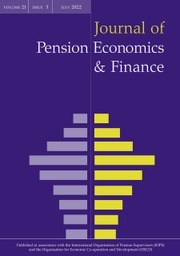 Overcoming this lack of engagement is important: participants should form realistic expectations about their retirement finances, discover pension gaps early enough to be able to take appropriate action, and experience less negative emotions and retirement anxiety in case of unwarranted pessimistic expectations. Sending pension-related information when important life events take place is often suggested to enhance the effectiveness of communication. Life events may represent teachable moments and thus lead to more openness to pension communication and planning. In this paper, we first review the literature on life events as teachable moments. Second, we provide an overview of life events that are especially suited to increase engagement. Third, we present empirical evidence on life events and participant engagement. Finally, we derive implications for theory as well as practice. Overall, we find that in theory life events appear to be good points to improve communications. The evidence from in-depth interviews with experts and pension plan participants, as well as survey data from participants, shows mixed results. It seems that several major challenges need to be addressed for successful use of life events. "Property Transfers to Caregivers: A Comparative Analysis"
Caregivers are key recipients of property transfers, both inter vivos and testamentary. The law's treatment of property transfers to caregivers changes according to the caregiver's relationship to the person cared for. Where caregivers are related to care recipients, the law generally favors the structuring of property transfers to caregivers as capital, rather than income transfers: while the law accepts that the daily work of care, done by people for their relatives, is often uncompensated, many family caregivers receive bequests larger than their intestate shares of the care recipient’s estate. Where, on the other hand, caregivers are not related to care recipients, the law approaches the care relationship using the terminology and frame of labor law. Bequests to non-family caregivers can raise a presumption of undue influence. In this Article, we examine the approaches taken to property transfers to caregivers by the U.S., Israel and the U.K. The U.S. authorizes the payment of public benefits to family caregivers only in very restricted situations, relying on family caregivers working for free or being compensated by the care recipients. The U.K. provides modest public benefits to many family caregivers. Israel incentivizes the employment of non-family caregivers but will pay family caregivers indirectly when assistance from non-relatives is unavailable. We examine the pros and cons of several approaches to compensating family caregivers, including bequests from the care recipient, public benefits, tax incentives, private salaries paid by the care recipient and claims raised against the recipient’s estate. We conclude that while the provision of public benefits to family caregivers clearly needs to be increased, at least in the U.S., a fully publicly funded model is probably impossible. "How Much Does Out-of-Pocket Medical Spending Eat Away at Retirement Income?" The adequacy of retirement income – from Social Security benefits and other sources – is substantially reduced by Medicare’s high out-of-pocket (OOP) costs. This project uses the 2002-2014 Health and Retirement Study to calculate post-OOP benefit ratios, defined as the share of either Social Security benefits or total income available for non-medical spending. The project decomposes the share of income that is going toward premium payments and services delivered and examines how these post-OOP benefit ratios differ by age, gender, income, supplemental insurance coverage, and health status. The project also updates previous studies’ estimates to document how OOP spending and the post-OOP income ratios changed following the introduction of Medicare Part D prescription drug coverage in 2006 and the closing of the “donut hole” coverage gap in 2010, which decreased OOP costs under Part D for those spending moderate amounts on prescriptions. -Average OOP spending (excluding long-term care) was $4,274 per year in 2014, with approximately two-thirds ($2,965) spent on premiums. -In 2014, the average retiree had only 65.7 percent of his Social Security benefits remaining after OOP spending and only 82.2 percent of total income. -Nearly one-fifth (18 percent) of retirees had less than 50 percent of their 2014 Social Security income remaining after OOP spending, with 6 percent of retirees falling below 50 percent of total income. -Post-OOP benefit ratios increased concurrently with the introduction of Medicare Part D for retirees who lacked prescription drug coverage prior to 2006. This group also saw a small increase after the donut hole began closing in 2010. -With less than two-thirds of their Social Security benefits available for non-medical consumption, and limited income outside of Social Security for much of the elderly population, many retirees likely feel that making ends meet is difficult. -Medicare spending per beneficiary is expected to resume its decades-long rise by the end of the decade which will put even more pressure on retirees’ budgets. The Internal Revenue Service uses the Social Security Administration’s taxable maximum to determine the taxable wage base for permitted disparity in defined contribution (DC) plan contributions. The Social Security Administration has reduced the maximum amount of earnings subject to Social Security tax for 2018 to $128,400 from $128,700. The agency said the lower taxable maximum amount is due to corrected W-2s provided to Social Security in late October by a national payroll service provider. The Internal Revenue Service uses the Social Security Administration’s taxable maximum to determine the taxable wage base for permitted disparity in defined contribution (DC) plan contributions. Permitted disparity allows for larger contributions or benefits with respect to compensation in excess of the Social Security wage base. The IRS issued Revenue Ruling 2017-22 November 14, which set the taxable wage base at $128,700. It is expected this will be amended following the Social Security Administration’s new announcement. Working longer is an effective way to boost prospects for a secure retirement, but is it realistic for workers across the socioeconomic (SES) spectrum? The Center examined this question in a series of studies funded by the Alfred P. Sloan Foundation, using education as the measure of SES. Given rising life expectancies, the analysis finds that it is reasonable for lower-SES workers to work somewhat longer. However, it may be harder for them to extend their worklives, as they plan to retire earlier and face narrower job options than their higher-SES counterparts. J. 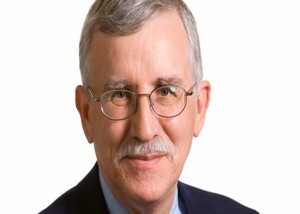 Mark Iwry is a Nonresident Senior Fellow in Economic Studies. He also is a Visiting Scholar at the Wharton School of the University of Pennsylvania. He served from 2009 to January 2017 as Senior Advisor to the Secretary of the Treasury and concurrently as Treasury’s Deputy Assistant Secretary for Retirement and Health Policy. He previously was a co-founder and Principal of the Retirement Security Project (2003-09). He is an honors graduate of Harvard College and Harvard Law School, and has a Masters in Public Policy from Harvard’s Kennedy School. David C. John is a senior strategic policy advisor at the AARP Public Policy Institute, where he works on pension and retirement savings issues. He also serves as a deputy director of the Retirement Security Project (RSP) at the Brookings Institution. David is a member of the National Academy of Social Insurance. He holds an ABJ in journalism, an MA in economics, and an MBA in finance—all from the University of Georgia. We present empirical evidence that municipal bond yields are increasing in the pension debt towards U.S. state civil servants. However, positive yield effects of both pension and explicit debt are found only for the period since the start of the crisis, suggesting that the crisis triggered awareness of budgetary sustainability. The marginal yield effect of higher pension debt is smaller than that of higher explicit debt, but still economically meaningful. The effect of higher pension debt seems stronger when using market values of pension assets than actuarial values, suggesting that investors pay more attention to market values. In August 2017, the board held a roundtable discussion in Washington, DC with scholars from around the country who were asked to suggest ideas for a long-range Social Security research agenda and to discuss the data needs they think are required to carry out that agenda. Additional scholars who did not attend the meeting submitted written suggestions. The document being released today summarizes thoughts and recommendations from over 30 individuals who participated in this process. The points made in this report do not necessarily reflect or represent the views of individual board members and are not exhaustive of all the important insights that other researchers and experts may have to offer. Still, they highlight a number of issues the board hopes the public and the Social Security Administration will find useful to consider. the reasons for and implications of recent downward trends in disability applications and awards. Note: Registration is open through Wednesday, 11-8-17. 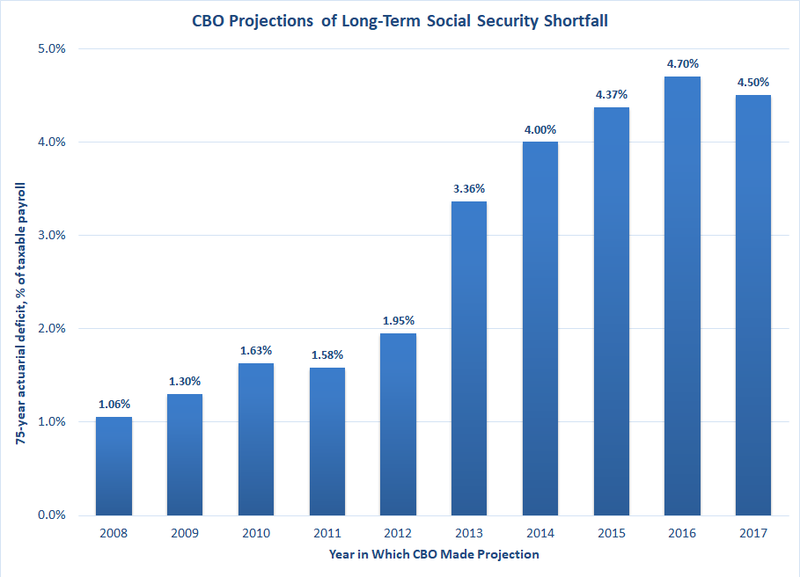 The Congressional Budget Office released new projections of Social Security's long-term financial health. While still showing a much larger funding deficit than the figures released by Social Security's Trustees, the CBO shows a small improvement relative to last year's figures. Over 75 years, the CBO projects a shortfall equal to 4.5 percent of employee payroll, versus a 4.7 percent gap in the office's 2016 projections. Since last year, CBO has made changes to its projections of five key inputs: productivity in the economy, interest rates, the population, the labor force participation rate, and the share of earnings that is subject to Social Security payroll taxes. The changes to the first three of those inputs worsen the Social Security system’s projected finances, whereas the changes to the last two improve them. Moreover, an additional year of deficit—2091—is now included in the calculation of the actuarial balance, which worsens the 75-year outlook. CBO projects larger deficits in Social Security’s finances than do the Social Security Trustees. That difference is largely explained by CBO’s and the trustees’ different projections of several major inputs into estimates of the system’s finances: earnings subject to the Social Security payroll tax, components of GDP growth, the population, and real interest rates (that is, interest rates adjusted to remove the effects of inflation). Nevertheless, while the CBO projects a small improvement relative to its 2016 figures, the longer-term trend has been troubling. In the mid-2000s, progressives and Congressional Democrats often cited the CBO's projections in preference to the Trustees' figures, because the CBO showed a smaller deficit and this seemingly weakened the case for reform. Since that time, however, the CBO's projected long-term deficit has more than tripled. Both parties should pay attention to the CBO's projections. If the office proves to be correct, the Social Security shortfall will be far larger than either party's preferred policy changes could tackle. New article from the CBO: "Measuring Retirement Income Adequacy"
The Congressional Budget Office has a very nice new study titled "Measuring Retirement Income Adequacy: A Primer," which outlines the economic theory behind retirement income adequacy and the choices of calculation you need to make when applying that theory to data. The study hits on a number of issues I've discussed in how to measure replacement rates, which are a key shorthand for measuring retirement income adequacy. I appreciate that the CBO cites my work in a couple of places. The basic theory of retirement saving is the so-called "life cycle model," which -- in simplified terms -- predicts that people will tend to spend the same amount from year to year. Two key points I'd make regarding how to measure replacement rates, which represent Social Security benefits or total retirement income as a percent of pre-retirement earnings. First, pre-retirement earnings should be calculated in real, inflation-adjusted terms. These allow you to compare the buying power of retirement income to the purchasing power that the retiree had when he was working. That's how the life cycle model would tend to see things. Social Security's actuaries, by contrast, compare retirement benefits to the "wage-indexed" average of pre-retirement earnings. This overstates the real purchasing power of the retiree's pre-retirement earnings and inappropriately raises the bar on what counts as an adequate retirement income. Second, if you're calculating replacement rates using administrative data -- meaning, real earning records rather than stylized earners -- you're faced with the issue of whether to include years of zero earnings in the measure of average pre-retirement earnings. The life cycle model says that you should: if people smooth their consumption across years, that means that their average spending will be a function of all their years of earnings, including years of zero earnings. The SSA actuaries include 'zero years' when they calculate replacement rate relative to career-average earnings. But when they calculate replacement rates relative to 'final earnings' -- meaning, earnings in the years approaching retirement -- they exclude zero years. Doing so raises the measure of pre-retirement earnings, and so makes Social Security replacement rates look lower. The actuaries' argument is that there are too many 'zero years' in the years approaching retirement. But as I showed using the actuaries' own data, zero years aren't that much more common in the years immediately preceding retirement than they are earlier in life, when people may leave the workforce due to education, unemployment or child raising. Where does the rubber meet the road? Well, if you were to ask SSA, they'd tell you that the average person receives a Social Security replacement rate of about 40% and that they need a replacement rate of about 70% in order to maintain their standard of living in retirement. 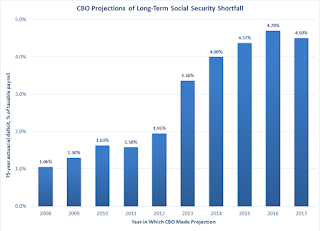 Properly measured, I believe the average Social Security replacement rate isn't 40% but something in the 50-55% range. That helps explain why most retirees say they're doing well, even if they don't seem to have much savings on top of their Social Security. In any case, the new CBO primer is highly recommended. Many commentators and journalists write about how much is "enough" retirement income, but the reality is that you can't really know what your opinion is until you wrestle with the sorts of choices that the CBO lays out. Read more! Join us Oct. 26 for a discussion of practical steps to increase workers' savings. Thursday, October 26, 2017, 10:30 a.m. – 12:00 p.m. The Brookings Institution, Falk Auditorium, 1775 Massachusetts Avenue, N.W. Many Americans live paycheck to paycheck, carry credit card debt, and have little or no money set aside for emergencies such as sickness, car or home repairs, job loss, or economic downturns. One consequence of this financial vulnerability is that many individuals use a portion of their retirement savings during their working years. Research suggests that for every $1 that flows into 401(k)s and similar accounts, between 30¢ and 40¢ leaks out before retirement. Helping American households build up their emergency savings would increase their financial security today and in retirement, and one innovative policy idea for doing that is an employer-sponsored rainy day savings account. On October 26, the Retirement Security Project at Brookings will host a discussion on the practical considerations and challenges of helping households accumulate rainy day savings for use during their working years. The event will feature a presentation of forthcoming research by David John and Brigitte Madrian on the possibility of using employer-sponsored rainy day savings accounts to help workers prepare for an emergency. Following a presentation of the research, a panel of experts reflect on these options and next steps for policymakers and employers. The speakers will take questions from the audience. Join the conversation on Twitter using #RainyDaySavings. Join us on Thursday, October 26, 2017 to mark the release of Preventing Aging Unequally, a new OECD report examining population aging and rising inequalities. The report shows how inequalities result in large differences in lifetime earnings across different groups, and suggests a policy agenda to address inequalities along the life course.